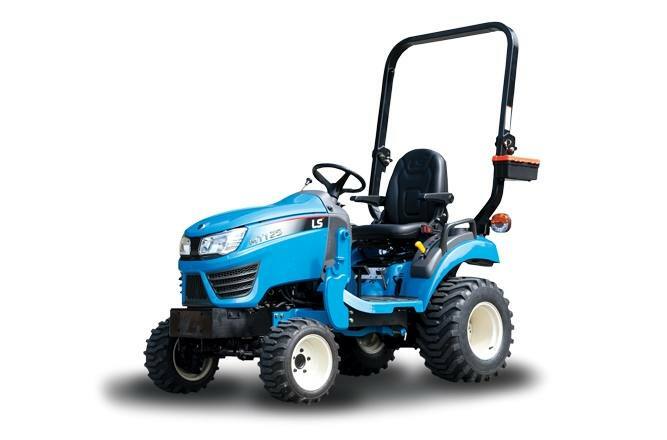 A true sub-compact chassis tractor with exceptional versatility and performance. Dual Pedal, 2 Range HST: Easier and more comfortable than rocker pedals. PTO Selector Switch: Allows you to select the rear-PTO, mid-PTO or both. Standard Mid PTO: 2000 RPM Mid PTO for optional 60" mid-mount mower or 50" front mount snow blower. Standard Hydrostatic Power Steering: Makes turning easier, improves control and reduces fatigue. Your Choice of Tires at No Additional Cost*: Your choice of turf or industrial tires at no additional cost. * Subject to dealer inventory. 3-Point Hitch: Category 1 with a hitch lift capacity of 970 lbs. is smooth and responsive. Easily Adjust Mowing Height: Adjusting the cutting height for the available 60" mid-mount mower is as easy as turning a dial. Toolbox: Convenient storage keeps tools handy. Yanmar Tier 4 Engine and Easy Open Hood: Tier 4 engine that provides reliable power and performance. Includes an Easy Open Hood for quick accessibility for easy maintenance. Modern Ergonomic Design: This small chassis compact is ergonomically designed and stylish. Comfortable High-Back Seat: Supportive and comfortable seat reduces fatigue and reverses position for backhoe use.